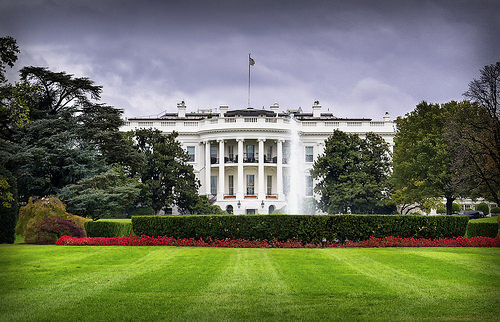 On February 12, the Trump Administration issued its budget proposal for federal Fiscal Year (FY) 2019 (October 1, 2018 through September 30, 2019), subtitled “An American Budget”. The proposal included a 34% cut in the Environmental Protection Agency (EPA) budget, from $8.2 billion in FY 2016 (stable in FY 2017 and FY 2018 under a Continuing Budget Resolutions rather than a fully-new federal budget), to $5.4 billion for FY 2019, with corresponding personnel cuts from 15,408 full-time-equivalent employees (FTE) to 12,250. (these are numbers for EPA in the government-wide budget from the Office of Management and Budget (OMB); the stand-alone budget document on EPA’s website cites $6.1 billion). This proposal was very similar to EPA’s FY 2018 request, which proposed a 31% cut in EPA’s budget of $5.7 billion for FY 2018, and 11,611 FTE (I wrote about that proposal here). Although President Trump reluctantly agreed in March to scrap these cuts when he signed Congress's budget plan on March 23, its still useful to review where President Trump and EPA Administrator Pruitt are continuing to try to take the agency. Goals 2 and 3 are repeated from last year’s proposal, while Goal 1 replaced “Public Participation.” Note that EPA’s proposed cuts did not spare its highest priorities. Improve air quality by implementing pollution control measures to reduce the number of nonattainment areas. By September 30, 2019, EPA, in close collaboration with states, will reduce the number of nonattainment areas to 138 from a baseline of 166. Empower communities to leverage EPA water infrastructure investments. By September 30, 2019, EPA will increase by $16 billion the non-federal dollars leveraged by EPA water infrastructure finance programs (Clean Water and Drinking Water State Revolving Funds and the Water Infrastructure Finance and Innovation Act). Accelerate the pace of cleanups and return sites to beneficial use in their communities. By September 30, 2019, EPA will make an additional 102 Superfund sites and 1,368 Brownfields sites ready for anticipated use (RAU). Meet new statutory requirements to improve the safety of chemicals in commerce. By September 30, 2019, EPA will complete in accordance with statutory timelines (excluding statutorily-allowable extensions): 100% of required EPA-initiated Toxic Substances Control Act (TSCA) risk evaluations for existing chemicals; 100% of required TSCA risk management actions for existing chemicals; and 80% of TSCA pre-manufacture notice final determinations (I’ve discussed EPA’s responsibilities under the 2016 amendments to TSCA here, here and here). Increase environmental law compliance rate. Through September 30, 2019, EPA will increase compliance by reducing the percentage of Clean Water Act (CWA) National Pollutant Discharge Elimination System (NPDES) permittees in significant noncompliance with their permit limits to 21% from a baseline of 24%. Accelerate permitting-related decisions. By September 30, 2019, EPA will reduce by 50% the number of permitting-related decisions that exceed six months. I found the numerical goals interesting but mostly unattainable in 12 months – I’d love to be wrong. Categorical grants – to states and tribes for certain regulatory programs including underground storage tanks, radon and lead; special-purpose programs including lead reduction, beach protection, nonpoint source control, pollution prevention. Special programs – including environmental justice, environmental education, endocrine disruptors; and geographically-focused programs including those for the Great Lakes and Chesapeake Bay. Does the organization operate facilities subject to permits issued by EPA or the state, under direct or delegated authority of federal environmental laws (Clean Air Act, Clean Water Act, Resource Conservation and Recovery Act (RCRA), etc.)? Does the organization manufacture, import or distribute chemical substances subject to TSCA? Is the organization subject to cleanup requirements under direct or delegated authority of federal environmental laws (CERCLA, RCRA, etc,)? Does the organization participate in EPA-sponsored voluntary programs subject to elimination?